For smokers seeking a satisfying alternative to cigarettes. JUUL is simple, clean, satisfying! JU..
Great value Juul compatible pods with 5.0% nicotine and 1.0ml juice. Refreshing Watermelon Mint flav..
Great value Juul compatible pods with 5.0% nicotine and 1.0ml juice. 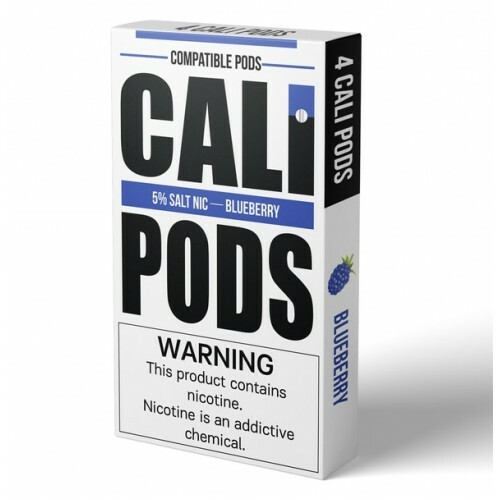 Blueberry flavorCali Pods Blueb..
Great value Juul compatible pods with 5.0% nicotine and 1.0ml juice. Cool mint flavorCali Pods Might.. Crisp peppermint flavor with a soothing aftertaste.JUUL pods 4-pack MintDescriptionCrisp peppermint ..
Great value Juul compatible pods with 6.0% nicotine and 1.0ml juice.Plus Pods California Cream (4/pa..